Grease the divider and line the baking tray with greased aluminum foil or wax paper. Sift all the dry ingredients except sugar. Set aside. Add the eggs one at a time with beating at high setting in between. Add the portion sifted flour mixture and prepared sour milk. Do this alternately making the dry ingredients last. Continue mixing until no more lumps of flour is observed. Fold in raisins and bananas. 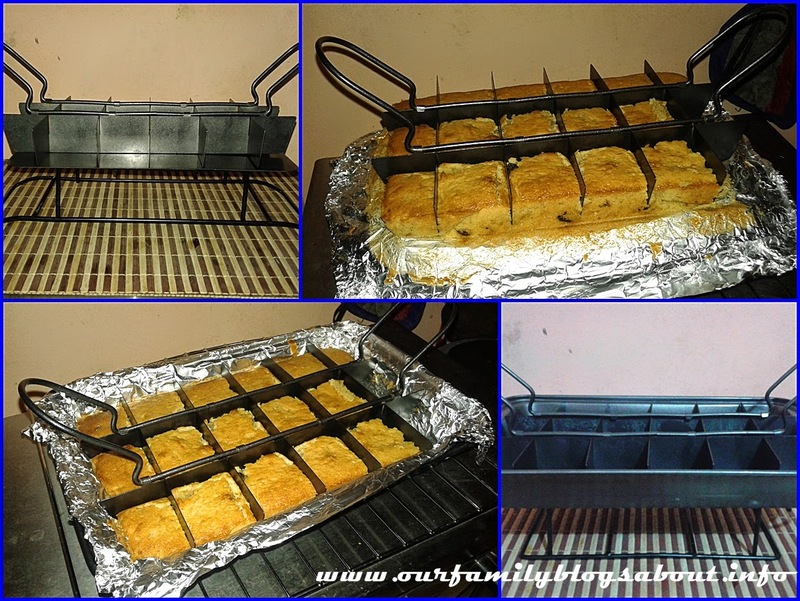 Pour into baking tray, place the divider and baked for 30-40 minutes. Cool and carefully remove the divider. If you don’t have sour milk at home do your own by adding 1 tbsp of apple cider vinegar to 1 cup of evaporated or fresh milk. Set aside for about 5 minutes.